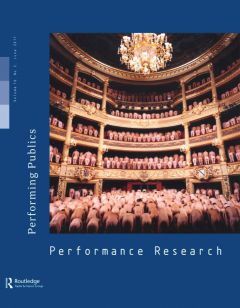 Performing Publics continues the creative partnership between PR and PSi and arises from and responds to the 16th PSi conference which was held in Toronto in June 2010. 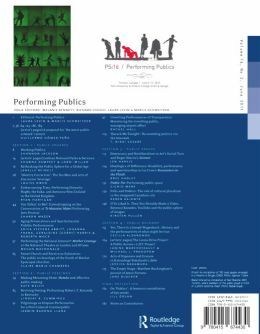 Performing Publics explores how the word “public” has reverberated through performance studies by taking up several genealogies and meanings of the term. The contributors to this collection examine the enactment of “public” both as a form of social activism – a means rehearsing, querying, and producing alternative forms of local and global citizenship – and also as a form of social legitimation and exclusion. They remind us that the idea of “public” is inseparable from the body and argue for the centrality of affect in moving beyond public/private binaries and in articulating political identities.